Here is a great video on creating texture on your scrapbook pages, art journals and mixed media projects. 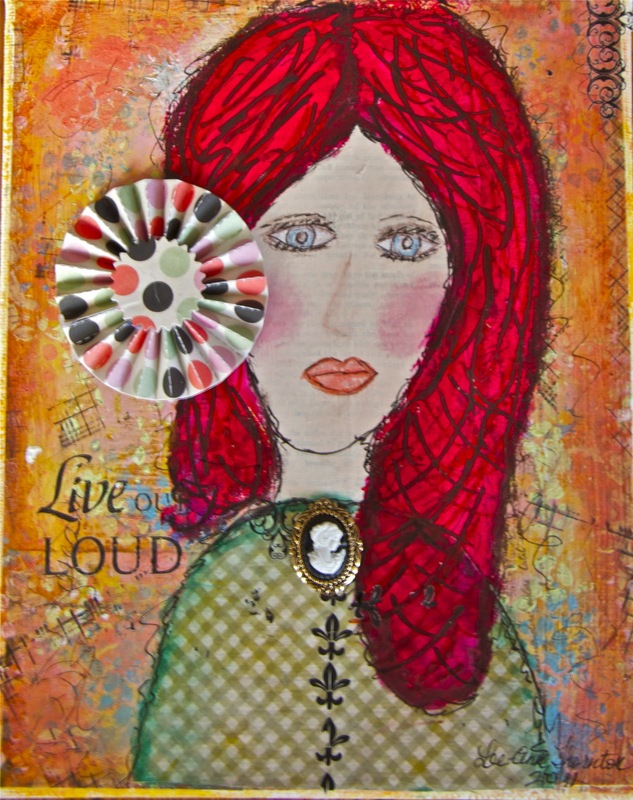 I love her practical approach to art! Christy rocks! 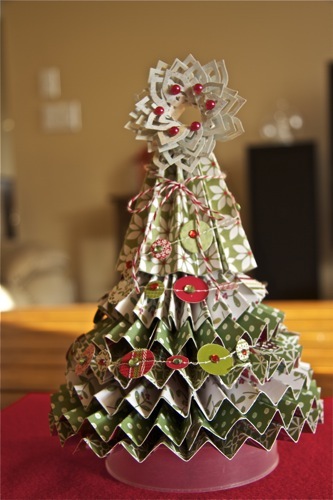 Today I made this Christmas tree for my coffee table. It's just the perfect size. I was inspired by Liz Qualman's tree on the Little Yellow Bicycle Blog. It came together pretty quickly with the Scor-Pal scoring board. The tricky part was gluing it all together. 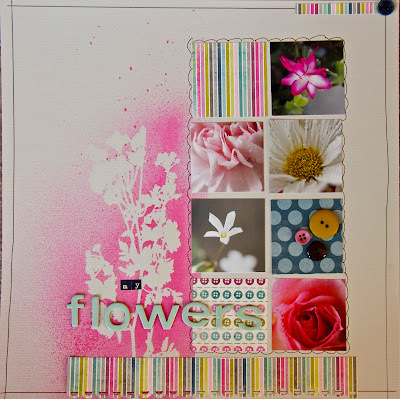 I used Little Yellow Bicycle's Wonder and Wishes patterned papers, and garland, which I added bling to every circle and I punched out a flower from the Dahlia Punch by EK Success. I then added pearls to the flower and placed it on a little plastic jar. It was fun! Have a great day! Besides scrapbooking, I love baking. It is so relaxing. Christmas is just around the corner and my husband bought me something that I have wanted for years. 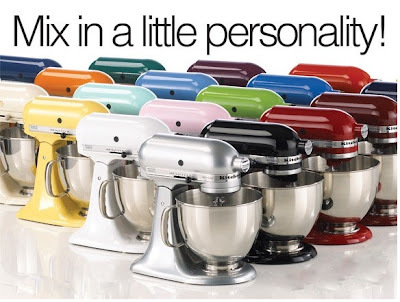 A new Kitchen Aid Artisan Stand Mixer! It's going to be great! I got the mixer in Green Apple. Today I am going to make some chocolate chip cookies and try it out. 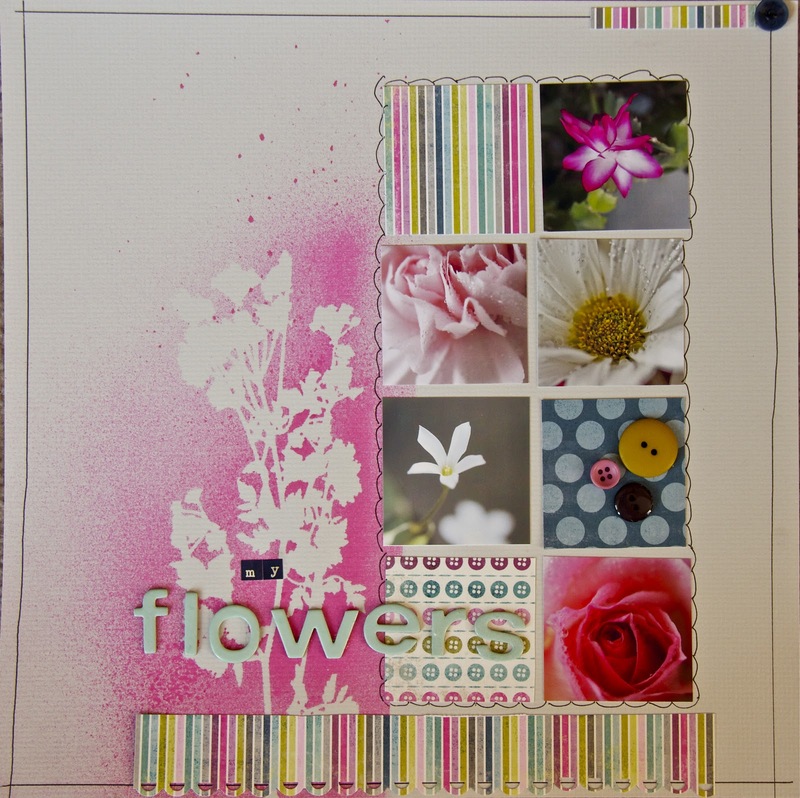 I created this layout for the Twisted Sketches Layout Design Team. The twist on the sketch was ribbon. I made a flower from ribbon and pleated a ribbon on the layout. 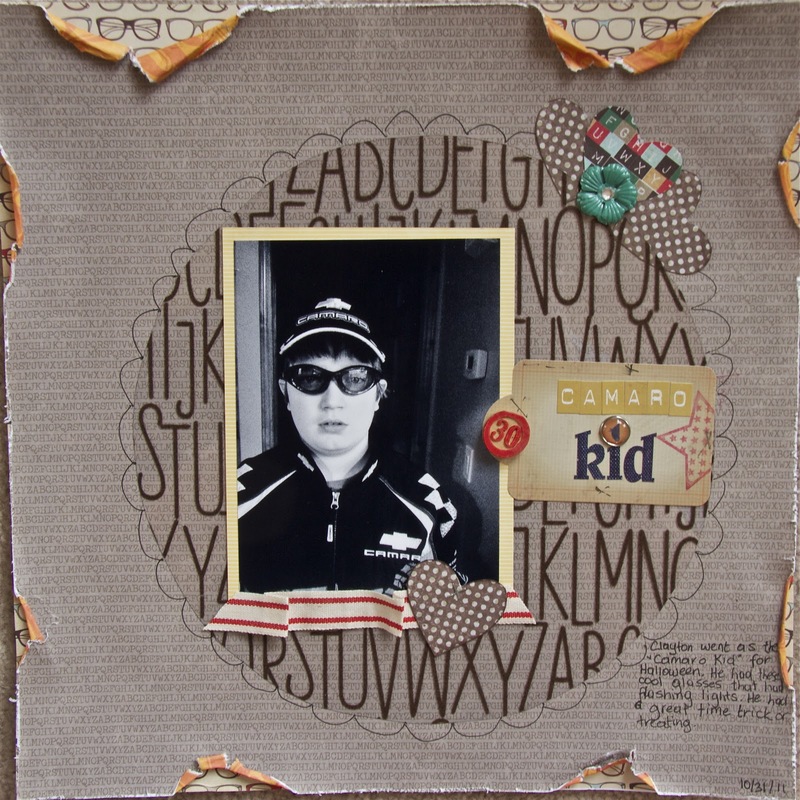 I used Lime Twist patterned papers by My Minds Eye and corrugated letters by Jillibean Soup. I then painted the letters. The paint splats I created with paint dabber and water. Come have some fun with us and create your own layout from this sketch. I also want to thank my American friends a very happy Thanksgiving. As a Canadian, I celebrated Thanksgiving in October with a turkey, all the trimmings and a pumpkin pie. There are some challenges going on for Sketchy Saturdays at Wescrap. Nothing gets my creative juices flowing like a sketch. Have a wonderful Sunday! Christy Tomlinson's She Art Workshop 2 began online this week and this talented lady inspires me so much! If you haven't taken any classes with her, DO IT NOW! You will surprise the heck out of yourself. Here is my first girl with a face. It's going to take a bit more practice, but I am happy with the first attempt. 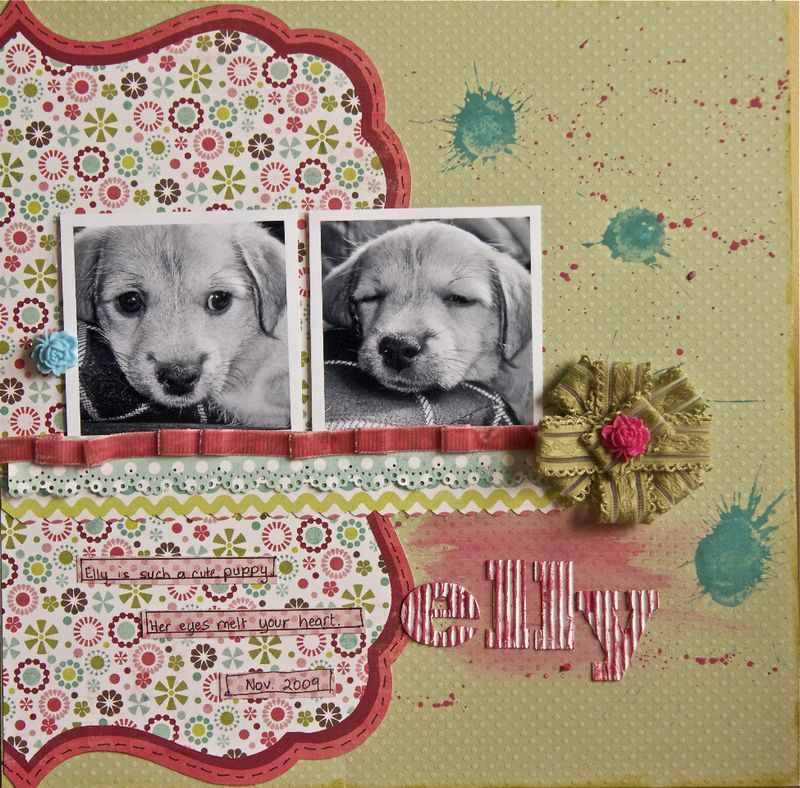 I love that you can use a lot of scrapbook supplies to make this such as paint, rubons, patterned paper, glitter and embellishments such as buttons. She recommends using Matte Mod Podge, but I have recently found Decoupage, made by Deco Art, works even better. I buy it at Michaels and it comes in matte or glossy finish. I prefer the matte finish. 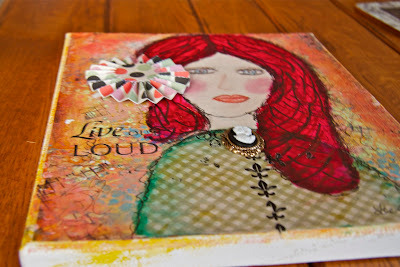 I plan on making lots of little projects for Christmas with Decoupage. Have a wonderful day! Cut 3 circles from the used Bounce Fabric Softener Sheet. 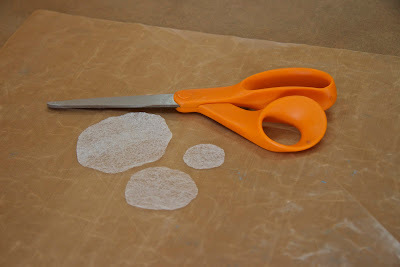 I usually cut one circle 2-1/2 inches, one circle 1-1/2 inches, and one circle 1 inch. They don't have to be perfect as it looks better if they aren't. 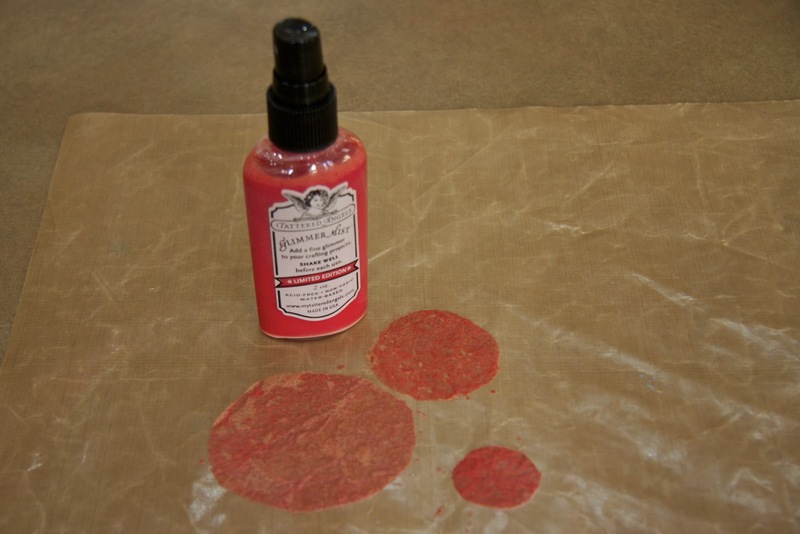 Place the three circles on a craft mat, or inside of a box, and spray with Tattered Angels Glimmer Mist until thoroughly saturated. Let dry naturally or with a heat tool to speed up the drying process. Once misted circles are dry, take your bottle of Stickles and apply around the outer edge of each misted circle. Let these dry naturally because a heat tool doesn't dry Stickles. 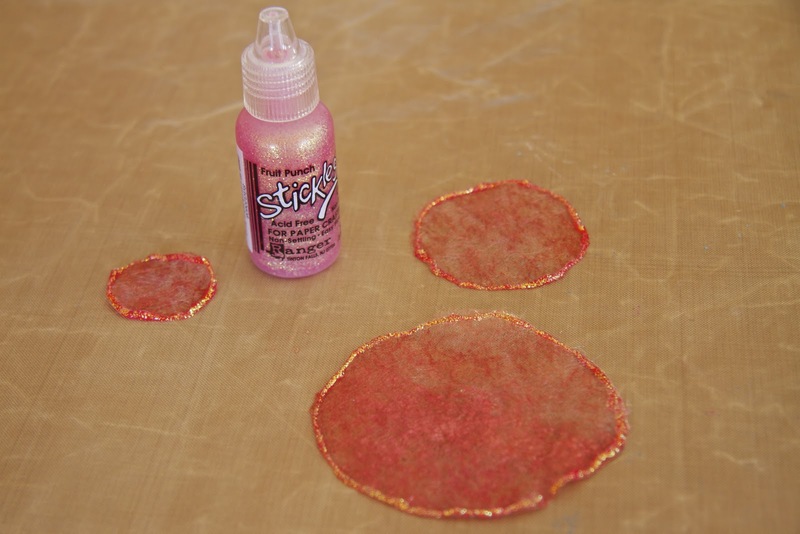 Once the misted circles are completely dry and the Stickles around the outer edges are dry, apply a dab of glue in the middle of the 1 inch and 1 1/2 inch circle and layer your circles. Place a brad, button, jewel or pebble on the top center of the flower. Voila! 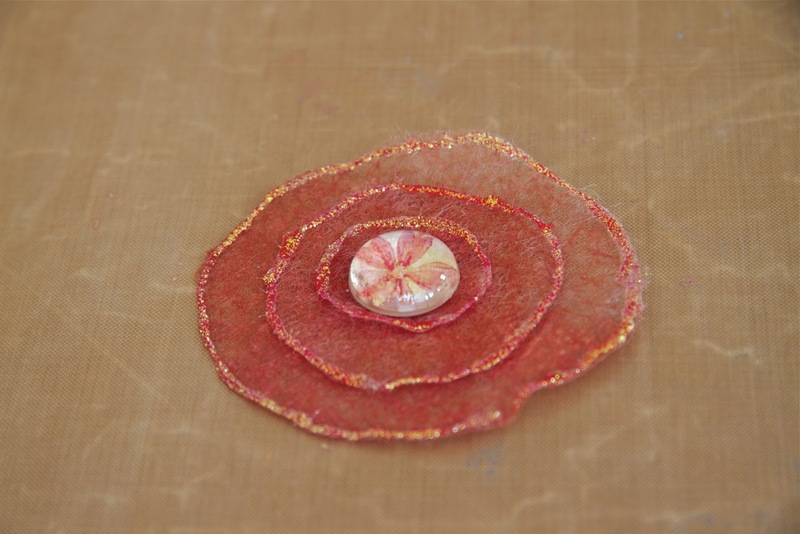 You now have a flower to embellish your favorite project! There was recently a blog hop on the Wescrap forum that I participate in regularly. 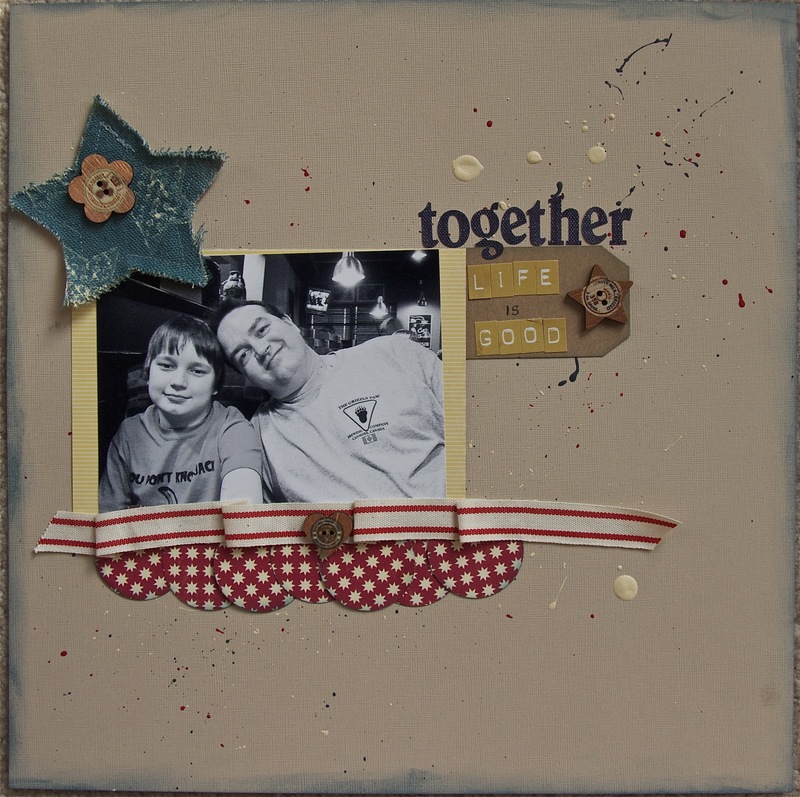 I received their November kit "Recess" and made these two layouts with the kit. Right now they are looking for four new design team members to join their team. If you are interested, check out www.wescrap.com. 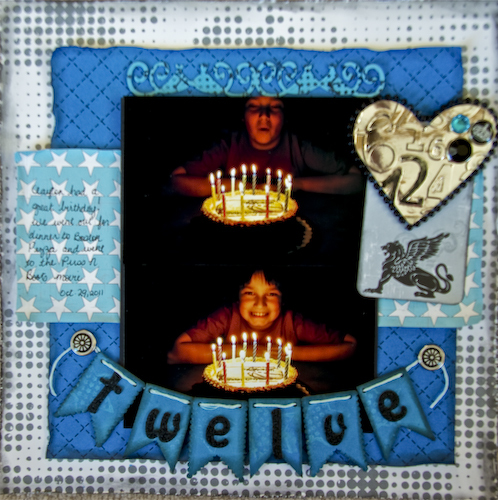 Twisted Sketches Layout #127 is posted now. 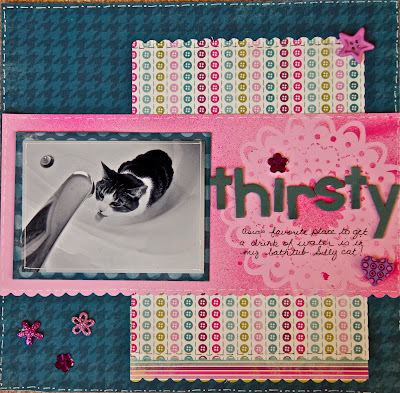 For my layout this week the twist was chipboard. This layout is of my son's 12th birthday that he celebrated almost two weeks ago. 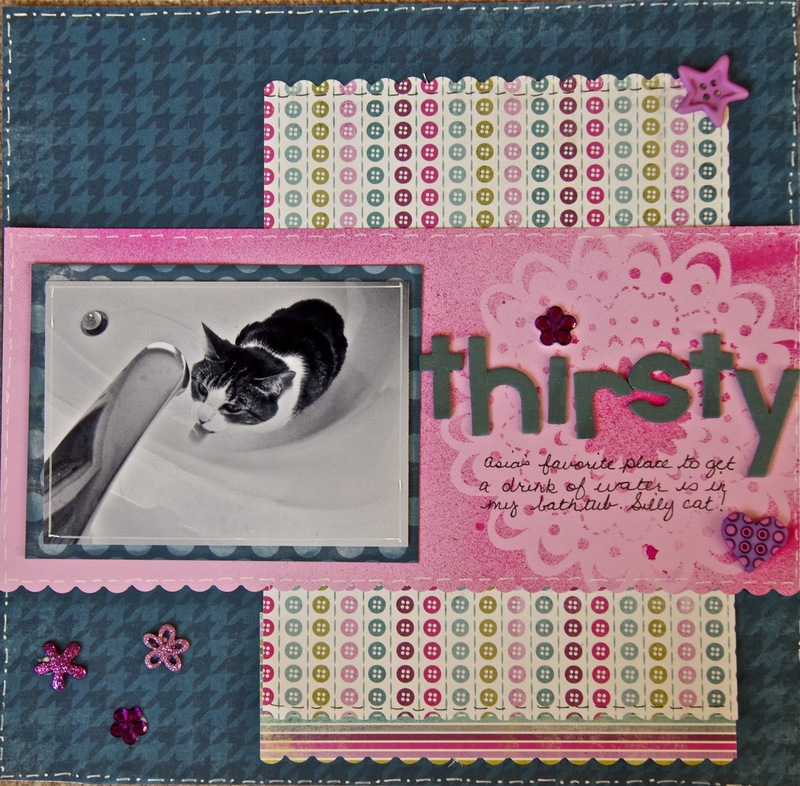 I used chipboard a lot on this layout. 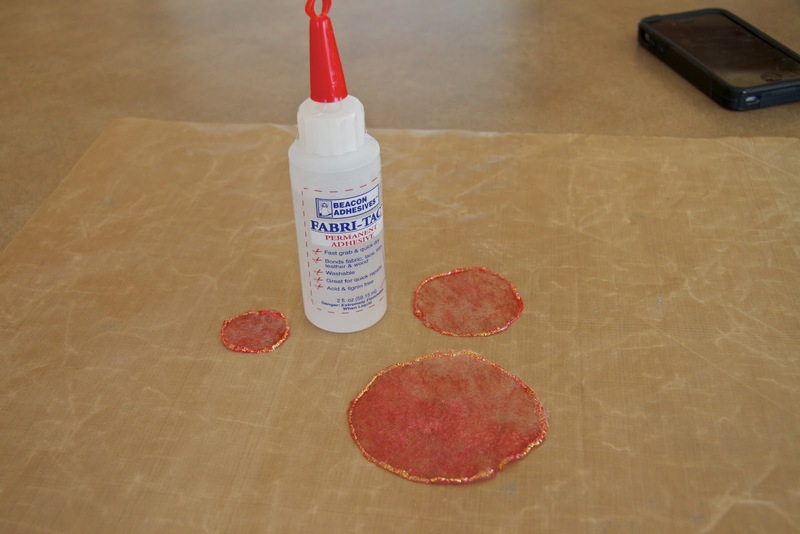 The banner, the heart and the little swirlydoo on the top of the photo is all chipboard that I painted and stamped. Hope you can play along with us. Have fun and have a wonderful day!